June is National Safety Month, so let’s see how prepared you and your family are for summertime injuries. From treating jellyfish stings to knowing how to give CPR, what would you do in these situations? 3: After removing the tentacle, ask the nearest lifeguard to treat the sting. They should have a solution of saline and vinegar on hand that will relieve the pain. Safety experts recommend always swimming or surfing near an open lifeguard tower. If there are signs of a severe allergic reaction, such as shortness of breath or hives, seek immediate medical attention. 2. Use an ice pack for 20 minutes at a time, several times a day. The best treatment for strains and sprains is RICE: rest, ice, compression and elevation. 4. If attempts to cool off aren’t successful, seek medical attention. If heat exhaustion isn’t managed properly, it can lead to heat stroke, a medical emergency. 3. But be sure to go to an emergency room if you experience swelling, trouble breathing or swallowing, or a rash covering most of your body. With all the time you may spend swimming this summer, knowing CPR can be a lifesaver. The American Heart Association recommends CPR with chest compressions and rescue breaths for drowning victims. How many rescue breaths should you give adults and children after each cycle of chest compressions? 2. For more information on CPR, visit UCLA Health online. 1. Examples of songs that are 100 to 120 beats per minute are “Stayin’ Alive” by the Bee Gees and “Crazy in Love” by Beyonce, according to the AHA, which says people are more confident performing hands-only CPR and are more likely to remember the correct rate when trained to the beat of a familiar song. In an emergency, call 911 or go to your nearest emergency department. Want to learn more? 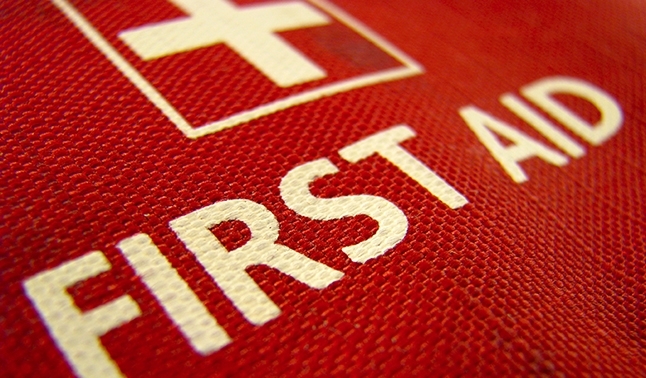 You can test your knowledge with this UCLA Health First Aid/Emergency Quiz.